I’m hosting “I Want To Know You” Tonight. Tonight! At Woolly Mammoth members of the DC poetry community share their work in the name of HIV awareness. 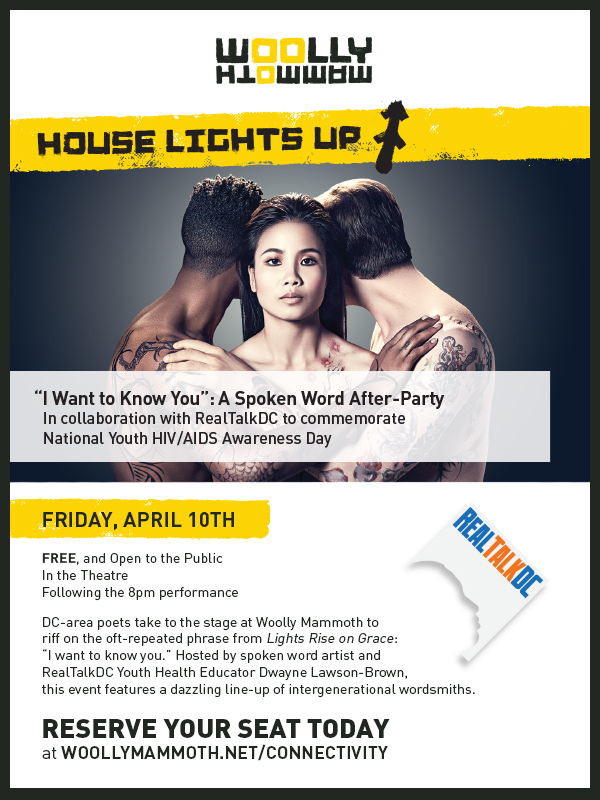 In commemoration of National Youth HIV/AIDS Awareness Day, RealTalkDC and Woolly Mammoth Theater Company present “I Want To Know You”, a poetic exploration of sexuality, self-love, and protection in these current times.